For many of us, 3D printing may be just something we hear about on the news or online articles when checking our e-mails. We know they are capable of doing great things like building houses for people to live in, and small (often novel) things like a Grumpy Cat figurine. Have you ever thought about what you would make if you had a 3D printer? We know the prices can be pretty steep, and often associate 3D printers with hobbysists with a little extra time and cash on hand, but in due time this may change. Printing is evolving in a huge way, and its changing in a way that will impact our daily lives very soon and very directly. Currently, you may be using your printer to print letters, other documents, or pictures of kids and grandkids. It's a typical use of home and office printers. But can you imagine the possibility of being able to print the images of your loved ones in 3D? 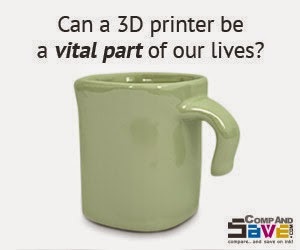 Or if you break your favorite coffee mug, you can simply print yourself another? 3D printed toys are a reality today. Create fun, personal, one of a kind objects that have meaning and a special relevance for your kids. A new powder–liquid 3D printing technology from pharmaceutical company Apreicia creates quick dispersing pharmaceutical products on a commercial scale. 3D printed bones are a reality as well: prosthetic limbs, an actual jaw reconstruction with a titanium 3d printed jaw… this is 3D printing directly impacting our lives! The Kerbal space program offers gamers 3D printed models of their spacecraft. Not much use, one would think with an expressive roll of the eyes, but invaluable for gamers! To put this into perspective, how about printing memorabilia from your fave TV shows and old movies? Think about the educational applications: ‘print’ a fossil to let a child have a genuine feel of a Jurassic relic. ‘Print’ Van Gogh’s bedroom in Arles to bring fascinating art to life. Some designers have brought 3D printing into the fashion sphere. Clothing collections are ‘printed’ now. If you have a specific type of eyewear you favor, you simply print it. Want that pair of Jimmy Choos, only more comfy? Print them! 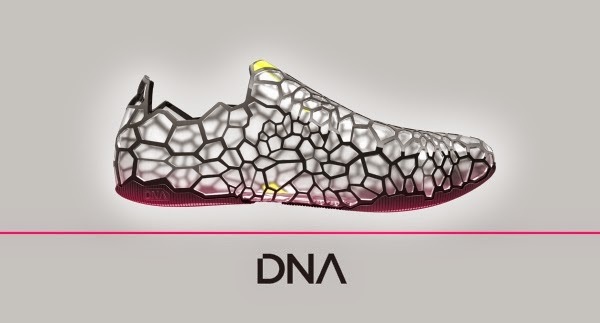 Print anatomically tailored shoes; shoes designed and created for precisely your feet. Have no use for the complicated phones everyone seems to use today? Print your OwnFone. Create an easy to use mobile – customize it with easy access buttons, integrate Braille for the visually challenged, create simple fun phones for kids. And how about a perfect pancake created with a 3D printer? This is possible too! Can you imagine a 3D printer with all these various capabilities replacing your current home printer? Consider how the development highly economical compatible cartridges have largely replaced expensive OEM products. Also consider how we have found ways to recycle and upcycle exhausted cartridges by re-manufacturing processes to present more earth friendly options to buyers. The number of projects by individuals and small companies on Kickstarter and Indiegogo are of course mindboggling. But now, even mainstream manufactures such as HP are now getting into the 3D market space. Companies such as 3D Systems and Stratasys are currently investing heavily into these emerging technologies. 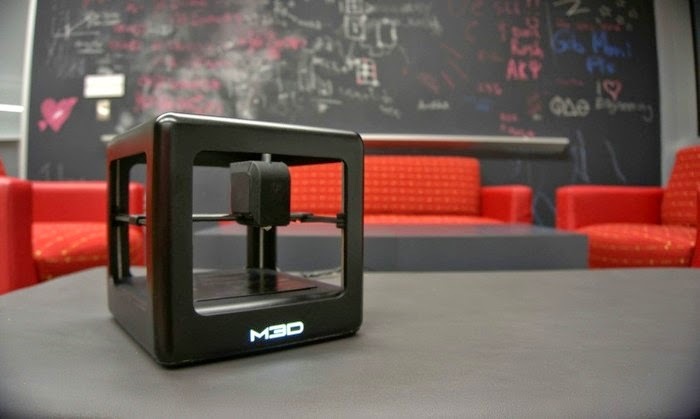 So can you envision a futuristic everything-printer replacing your current 2 D printing device? Can you envision printing out your sausages for breakfast anytime soon? Do share your thoughts in our comments section. You could also connect to us via Facebook or Twitter and if you’d like to keep yourself informed about new advancements in the printing space, subscribe to our newsletter.